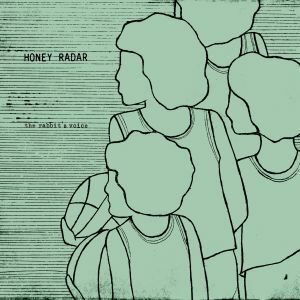 Born in Richmond, IN but now operating straight out of a bedroom in Philadelphia, Honey Radar just dropped his first release of 2015 less than a month ago and unfortunately for eager buyers, it’s already sold out. The hand-cut 7″ crams in 7 mini-tracks, some as short as 16 seconds, overall clocking in at 7 minutes of dusty and damaged noise pop janglers. Guitars are perpetually glinting for all 7 minutes, fueled by sunshine and breathy, hummable vocals that are sung behind a shadowy veil. “Ray Talks About the USA” shows off nasally and hollow-sounding guitar twangs, while “Niacin Man” bursts open with a beam of tangled guitar fuzz. These mini-tracks are sweet, blissful and unfold like a stream of consciousness, but they’re also warped and rough around the edges and take on a shape of their own. They’re decorated with layers of melody stemming from both vocals and guitar, making each track stick to you like candy-coated pop after the candy was dropped on a carpet and is now covered in lint and whatever other debris it picked up on the way. Get an earful of Henn’s bedroom pop mastery below – nobody else is creating a sound as raw and honest as this. If you’ve already gotten your hands on a copy of the 7″, well done. This would be a great time to revisit Henn’s overlooked debut LP from 2014 as well. You’ve got your work cut out for you – now get listening! 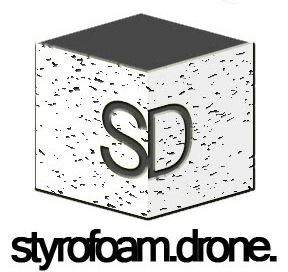 Posted on May 14, 2015 May 14, 2015 by styrofoamdronePosted in EP, ReviewsTagged 7", EP, Honey Radar, Lo-Fi, noise rock, pop, The Rabbit's Voice, Third Uncle Records, What's Your Rupture Records.